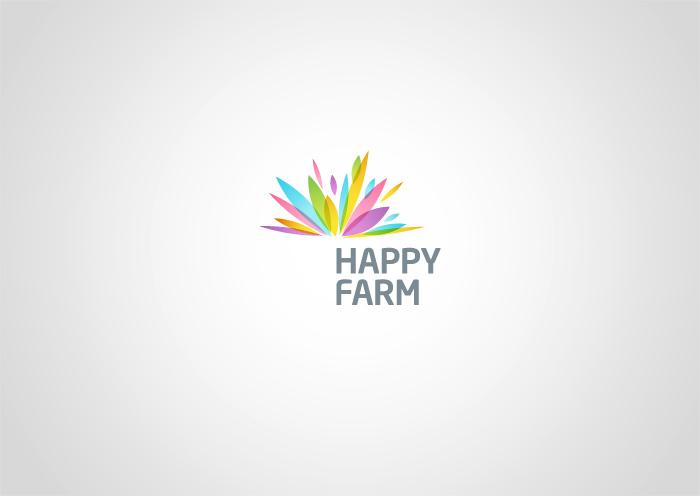 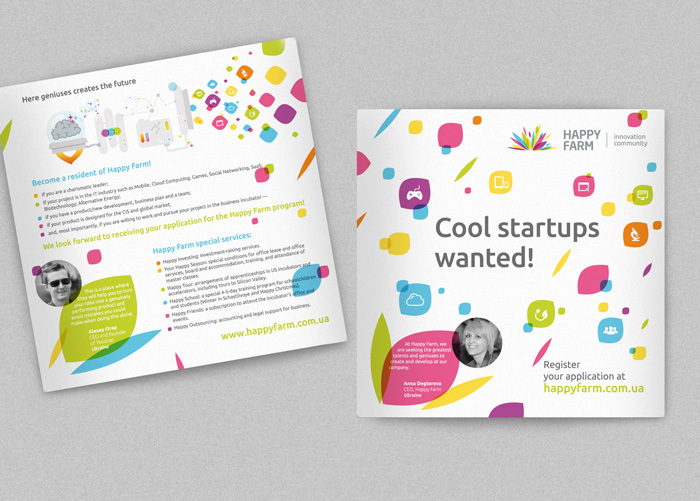 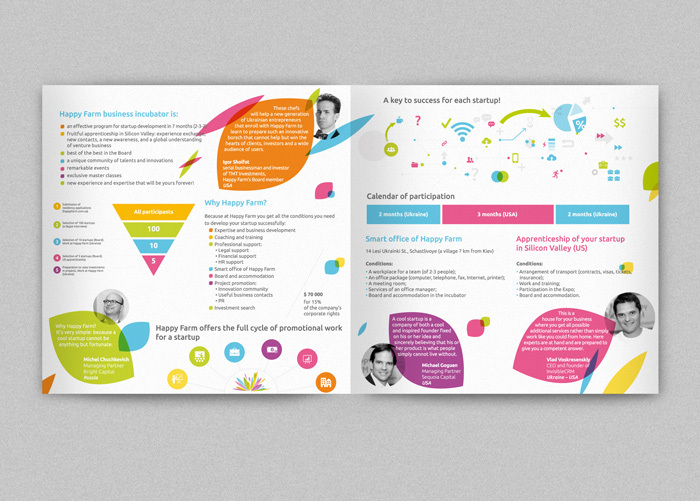 Happy Farm is a new startup incubator, founded in Ukraine. 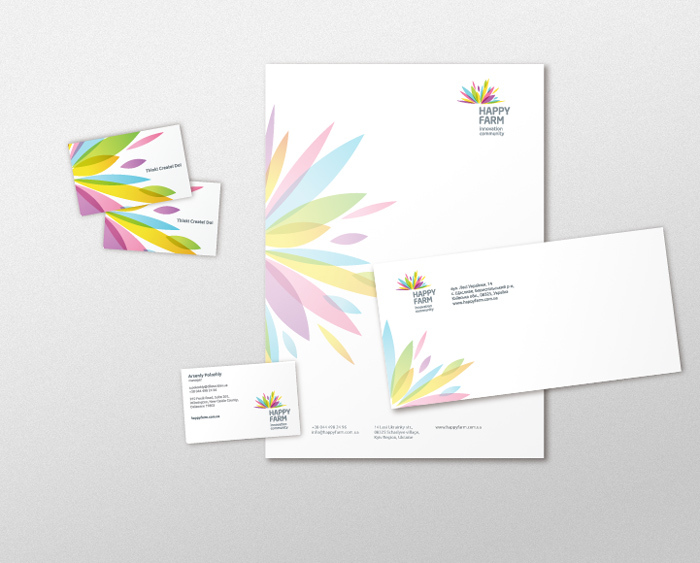 The client wanted the logo to express positive energy and innovative spirit of the institution. 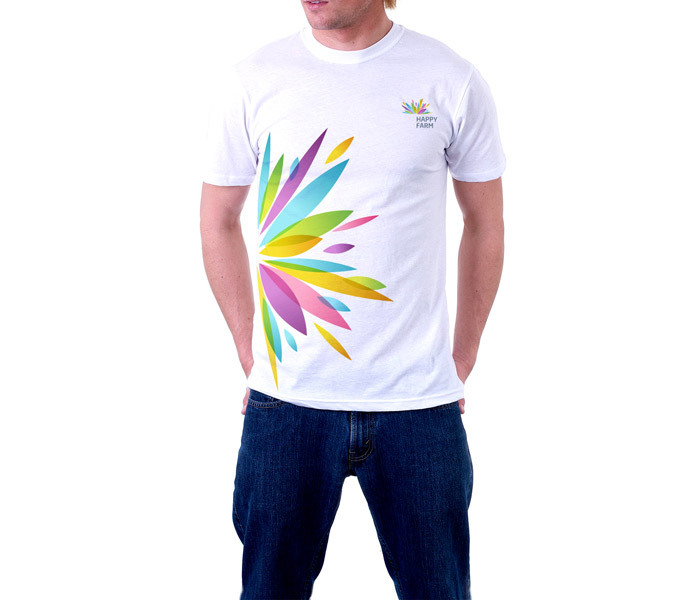 This idea is represented symbolically by a bright colorful plant, struggling through the ground, and the energy of a spring.